So you are thinking about living a more holistic, healthy lifestyle. You want to get involved in activities that will benefit you and your family in the long run. Something your kids will enjoy and maybe make a few extra dollars. Then you might want to consider beekeeping. 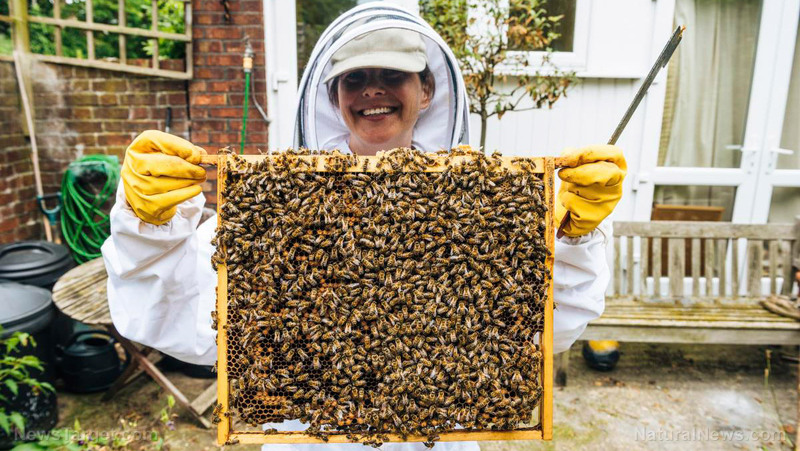 Beekeeping is a truly rewarding hobby. If you are thinking about it, we encourage you to embrace the idea. Not only is there a sweet reward at the end, but there are other derivatives as well. This includes benefits for a healthier lifestyle, natural medicine and some possibilities of making a little extra cash. You can get into the business of selling some bee products like pure royal jelly or jars of honey. There is a big market for pure, organic honey. It is even better when it has no additives, chemicals or preservatives. Taking care of bees also has benefits for the environment and the world’s food crops, directly. Many people do not know that these little insects conduct a process called pollination. This is what causes more flowers to bloom and grow or the flowers on your cucumbers and mellow to turn into tasty fruits. Bees move from plant to plant and help to bring the male and female parts of the plant together, so they can produce. So keep that in mind if you are a gardener. It is the best way to have a healthy garden. But, for commercial bee farmers, they make big bucks traveling all over the country and helping food farmers to have a higher yielding crop. These tiny insects play a large role in our food industry. Even the threat to their species is of serious concern. The colony collapse disorder cut the bee population down significantly. So much so, it caused quite a panic. 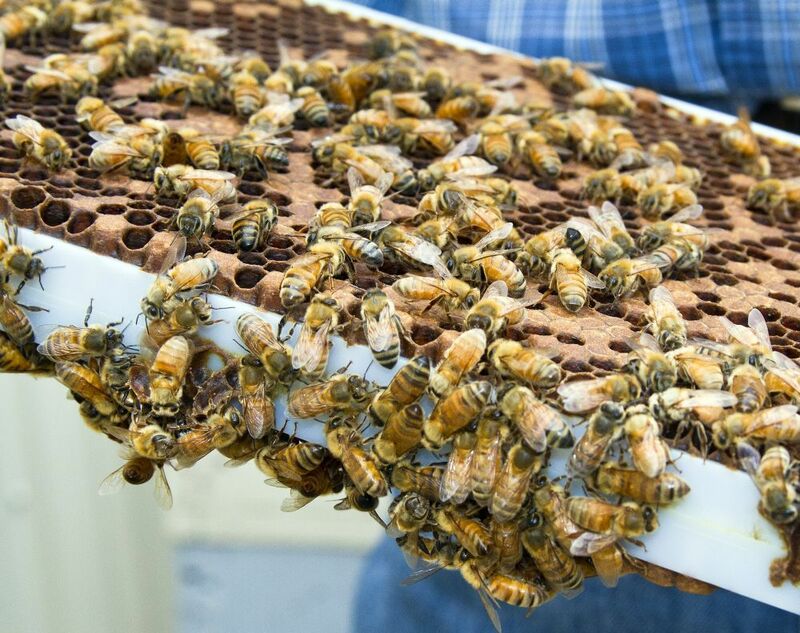 Now, scientists, researchers, and farmers are being very proactive when it comes to protecting the bee population. So let us come back closer to home, to your own backyard. Every beekeeper needs to learn how to remove a honeycomb and the best methods to use. But before you start the process, ensure that you are wearing all the proper gear. Safety first! During this process, your cute little honey-producing worker bees will get quite annoyed, even angry. And rightly so because you are stealing their honey after putting so much effort into making honeycombs and honey production. If applicable you will need to remove the roof of the hive. This will give you an easier access to the supers. Then retrieving honeycomb or royal jelly continues by removing the honey supers or shallow boxes. This step is easier with some beehives than others depending on the type of hive that you have. Cautiously take out the conventional frame that you want to harvest from. After that, you confirm and guarantee that the frame is set and fully capped. If not, the dampness level in the honey is probably going to be really elevated, and then that will cause fermentation. Once more, during the process be careful. This procedure is done unhurriedly and smoothly. You do not want to damage the honeycomb while removing it. This will definitely jar the bees and make them angry. Honey harvesting sometimes requires a smoker for bees. Some beekeepers use this has a way of making the bees more docile during the removal process. So you have gotten the honeycomb out. Now you need to get the pesky bees off the comb. This can be challenging, but there are ways to make it easier. First, you can choose to brush them off the combs. Some beekeepers use a tree branch. Others might have a soft brush handy. Either way, please use caution. You do not want to harm, injure or kill your honey makers. It is best if you go a little distance from the entrance of the hive, to get at the honeycomb. If you do not, the bees will be easily attracted to it and try to drink up the honey before you get the portion you desire. 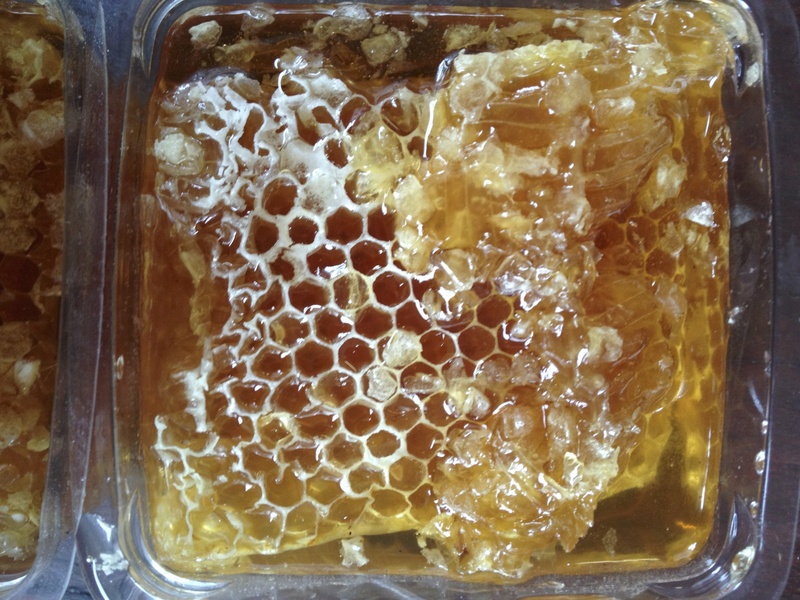 The honeycomb can be detached from the foundation of the supers, by using a knife or hive tool. You should detach it, carefully, starting at the border at the bottom. This encourages the bees to redo their honey-making activities from the top after replacing the shallow supers into the hive. Foundationless frames are the best alternative because you have no risk of cutting wires when retrieving the honeycomb. Also, you might not always find pure honey in your excursions. 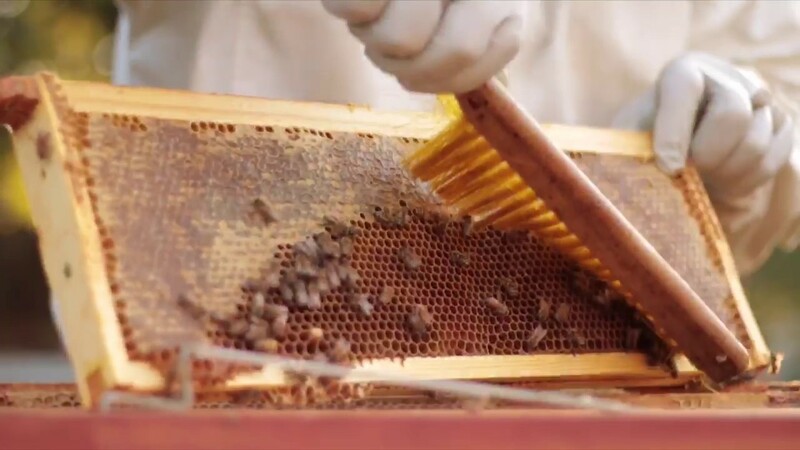 You will find royal jelly or bee pollen in the comb. Whatever you do not need put it back close to the hive. They will retrieve any leftover honey or pollen.